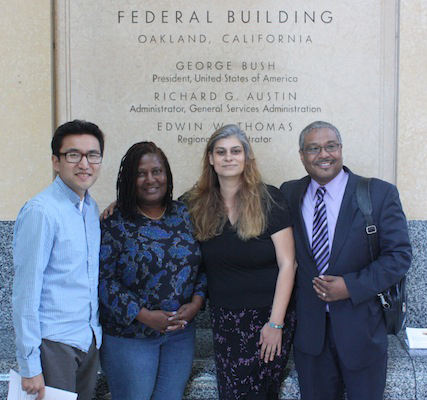 A delegation representing Bay Area organizations met with the deputy district director of Congresswoman Barbara Lee on Aug. 23 to discuss the high cost of receiving a phone call from a prison, jail or detention center. This visit was held as part of a larger effort called the Campaign for Prison Phone Justice, a national campaign seeking to lower the cost of prison phone calls. Member organizations of the delegation included the Center for Media Justice, Media Alliance, The Utility Reform Network (TURN) and Ella Baker Center. The delegation is petitioning the congresswoman to ask the Federal Communications Commission (FCC) to address the high cost of prison phone calls by passing the Wright Petition. The Wright Petition, which has been in front of the commissioners since 2004, requests the agency to examine the public harm caused by high phone rates charged to people in prison. Currently, a typical interstate collect call from a prison has a $3.95 connection fee – regardless of the length of the call – while rates can be as high as $0.89 per minute. This can result in charges of $10-$17 for a 15-minute collect call or $300 per month. Up to 60 percent of charges go towards kickbacks to states and corporations. Advocates say that the combination of institutionalized racism and a profits-before-people system criminalize the working poor and communities of color. In fact, communities of color are most directly impacted by the high cost of prison phone calls, as these communities represent a disproportionate percentage of the prison population. African Americans make up close to 40 percent of the prison population while Latinos make up over 20 percent. Currently, one in every 36 Latino men, one in every 25 Native American adults, and one in nine African American men aged 20-35 are incarcerated, creating what some have called a full scale prison epidemic. Participants meeting with Congresswoman Lee’s staff talked about what’s at stake for the families and loved ones struggling to stay connected. Sandra Johnson from Ella Baker Center who works on the Books Not Bars campaign talked about her struggles as a mother in prison, trying to take care of her family and look after her daughter. 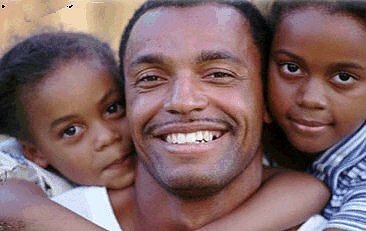 Currently, nearly 3 million children in the United States have one or both parents incarcerated, and one in nine African American children have an incarcerated parent. Studies show that for those children, hearing the voices of their parents can often make the difference between a child feeling loved – even while enduring incarceration – or feeling totally abandoned. Staying connected also increases the chances a person leaving prison will successfully reintegrate back into society. California currently is one of only eight states that have banned these kickbacks. Advocates say this makes the leadership and support of state legislators crucial to passing the Wright Petition. The lack of regulation on the federal level means that residents of California calling out of the state continue to shell out hundreds of dollars to stay connected to their loved ones in prisons and detention centers. Hearing the voices of their parents can often make the difference between a child feeling loved – even while enduring incarceration – or feeling totally abandoned. “People are sentenced to incarceration; families are not sentenced to outrageous phone bills. They shouldn’t have to choose between paying bills and talking to their son or mother,” adds Mark Toney of TURN. The Campaign for Prison Phone Justice is a national effort challenging prison phone kickbacks and the U.S. prison telephone industry. The campaign is jointly led by Media Action Grassroots Network, Working Narratives and Prison Legal News.